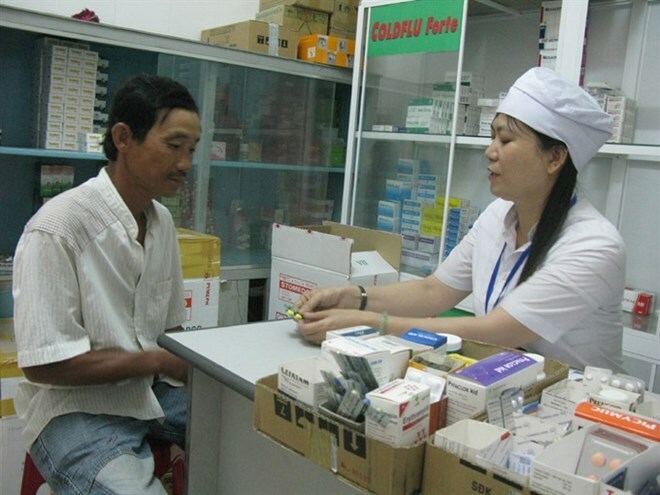 Hanoi (VNA) - About 126,000 people have tuberculosis (TB) in Vietnam, but fewer than 106,000 have received treatment, while the others are undetected and sometimes unaware of their status, said Director of the Hanoi-based Central Pulmonology Hospital Nguyen Viet Nhung. He said that the gap in disease detection poses a high risk to the lives of people with TB as well as to public health. “Forty percent of the undetected TB patients will die because they haven’t treatment,” Nhung said. Nhung, who is also head of the country’s national TB prevention and control programme, said that people with TB do not always announce their conditions because they are unaware of the disease or afraid of discrimination, so they do not seek medical treatment. Nhung said that with current techniques and tests, TB could be found in two hours after testing instead of two months as previously. It takes four months to treat TB instead of six months as before. It is reported that in Vietnam, the number of people with TB has declined 5 percent yearly since 2015 and the number of people die of TB also reduced about 3,000 people yearly. Vietnam has made achievements in preventing and controlling TB. Under the national TB prevention and control programme, new tests recommended by World Health Organisation such as the Gene Xpert (a machine that can detect mycobacterium tuberculosis in a sample of sputum) or the Hain Test are used to detect TB early and stop it from spreading. The programme also facilitated the use of new medicine Bedquiline and a short-term treatment scheme for multi-drug-resistant tuberculosis. In 2009, Vietnam started an initiative to expand multi-drug-resistant tuberculosis treatment. Up to today, about 11,000 people have received treatment; 70 percent recover. Moreover, the health history records of people with multidrug–resistant TB have been digitalised. "Vietnam still faces challenges in controlling TB. It is necessary to improve grassroots healthcare to detect and treat TB patients early," Nhung said. Another challenge is that when international donors stop funding the country’s TB control and prevention activities, Vietnam will need to find alternative sustainable funds. As reported early this year on World TB Day 2017 (March 24), Vietnam is estimated to need at least 66 million USD annually to reduce the prevalence of patients with TB from 112 to 20 per 100,000 people by 2030, essentially eliminating tuberculosis as a public health problem. The national programme on TB prevention and control is currently funded at 26 million USD a year, including 19 million USD from foreign aid. Now, the Health Insurance Fund covers costs for TB diagnosis and treatment. Beginning in 2019, the health insurance fund will also cover medicines for TB patients. Nhung said that the Central Pulmonology Hospital was planning to develop a fund to support TB treatment next year. The fund is expected to help uninsured people buy health insurance.